I recently pinned this recipe because we still have some zucchini left from our generous neighbors. The gifted zucchini were huge, so it has taken a while to get through them. When I saw the recipe, I immediately knew where the half of zucchini sitting in the fridge would go. I'm not a huge fan of savory dishes with zucchini, but sweets with zucchini? Now we're talking. My old standby is zucchini bread, which is awesome, but I wanted to try something a little different and I'm so glad I did. 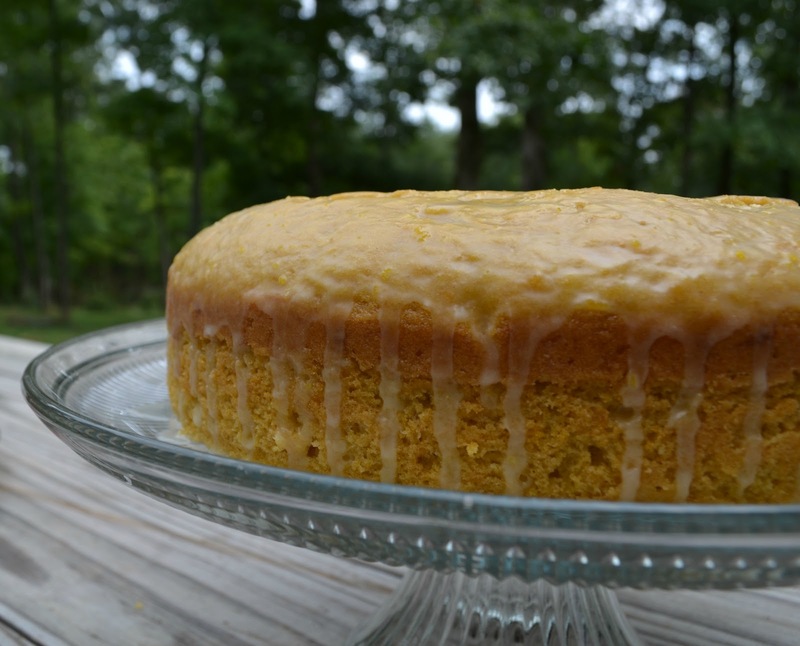 The orange glaze on the cake made this recipe a real winner. It's amazing how you can't even taste the zucchini. It mostly adds moisture to the cake, not necessarily flavor or texture. And it makes me feel a little bit better about eating several pieces last night knowing that I'm getting my vegetables! Great idea! Looks so good! We are going to try some out, too. Thanks! I highly recommend it! Looks delicious and the photography is fabulous. Thanks, Aunt Bette! I'm really loving my new camera. Looks tasty! I like the savory stuff....but I'm thinking with sweets, I could maybe get Andy on board with this veggie. How long did the prep and baking take? This one did take a while. I wouldn't do it on a busy weeknight, but it's perfect for the weekend if you have a little time. Prep took maybe 20 minutes and it bakes for about an hour. Then you have to let it cool completely (about 30 mins) before brushing on the glaze. None of it is particularly hard, just takes a little time. But I think it's well worth it! I love the wildflowers, too :) Thinking next year I'm going to get tons of those $.22 seed packets!